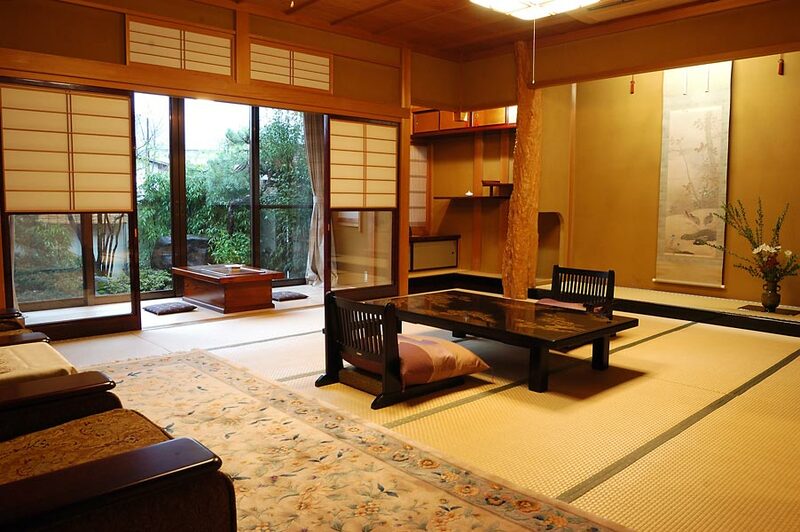 you feel as if you have stepped back a few centuries in Japan. 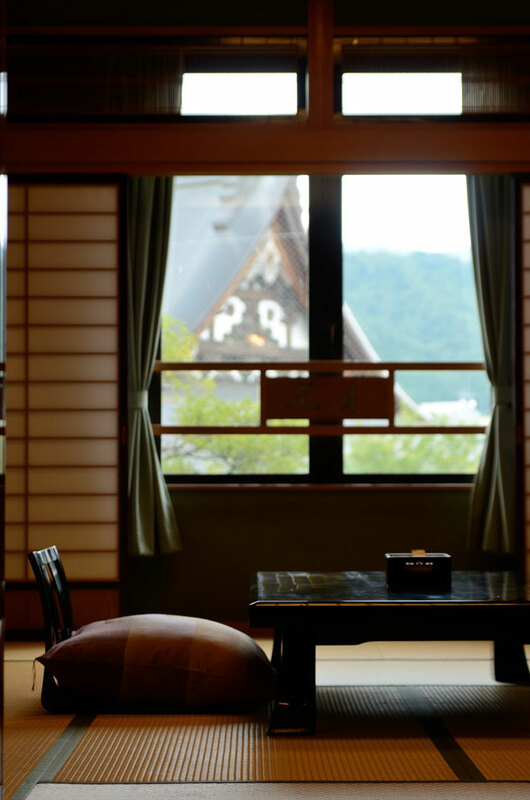 Shirakawago and others. 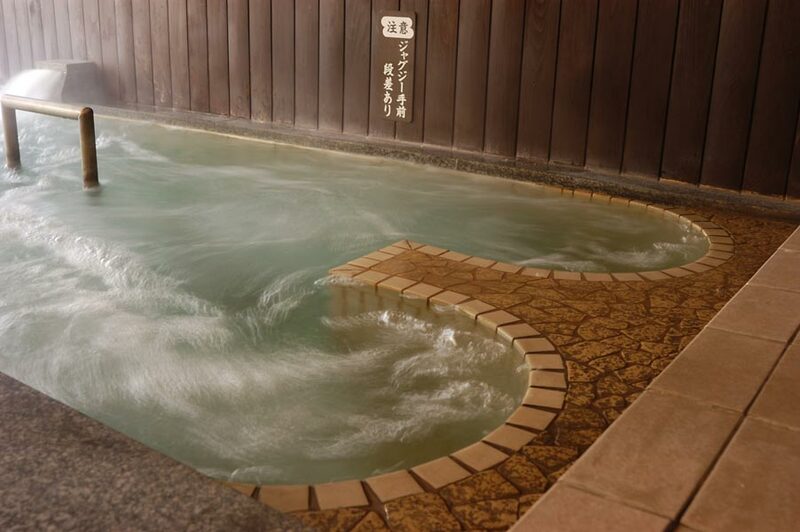 It’s the best way to travel in the center part of Japan. 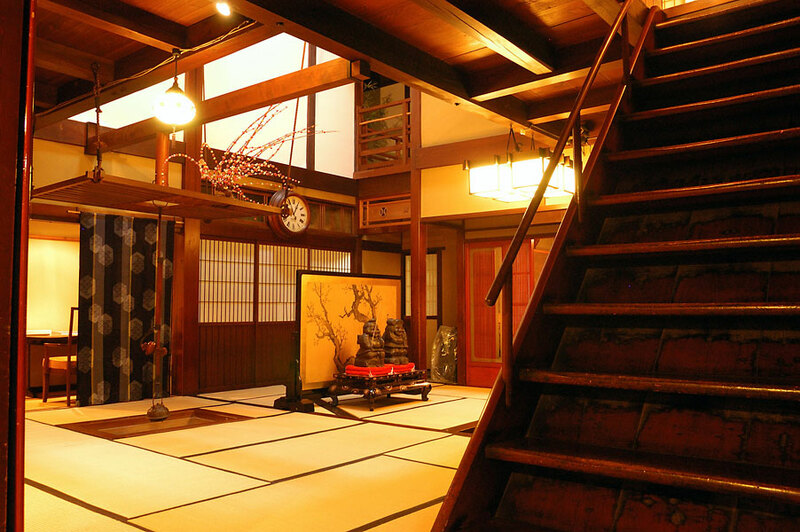 makes you feel like you were in a Japanese museum. and welcome drink at the waiting bar before the dinner. 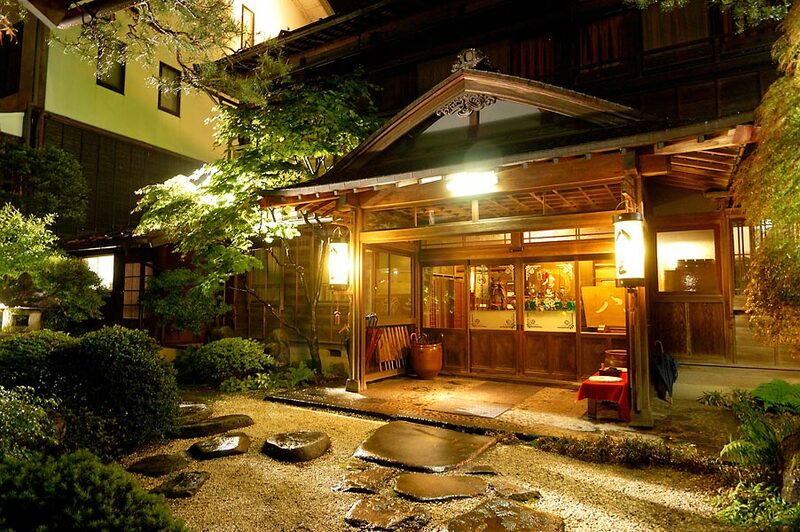 Yatsusan-kan, an ancient Japanese luxurious wooden Ryokan-inn, is located in a peaceful riverside town, Hida-Furukawa which is in the center part of Honshu island. 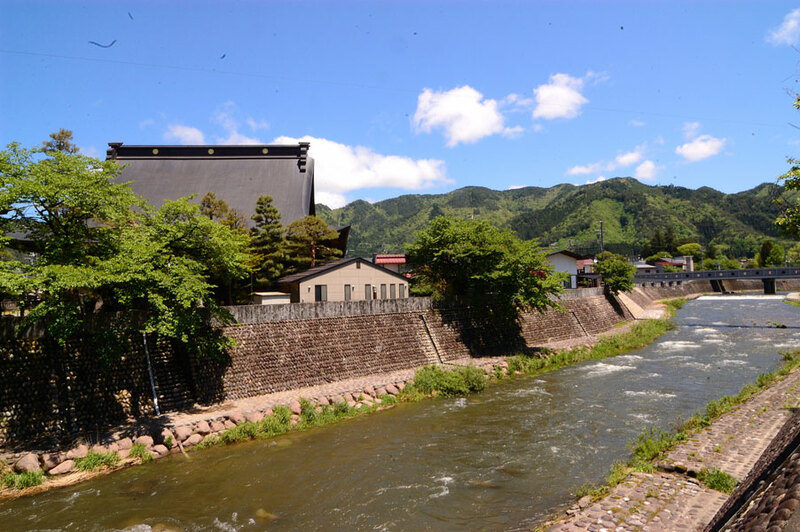 The town is framed by beautiful mountains and two clear rivers and canals run through the town. 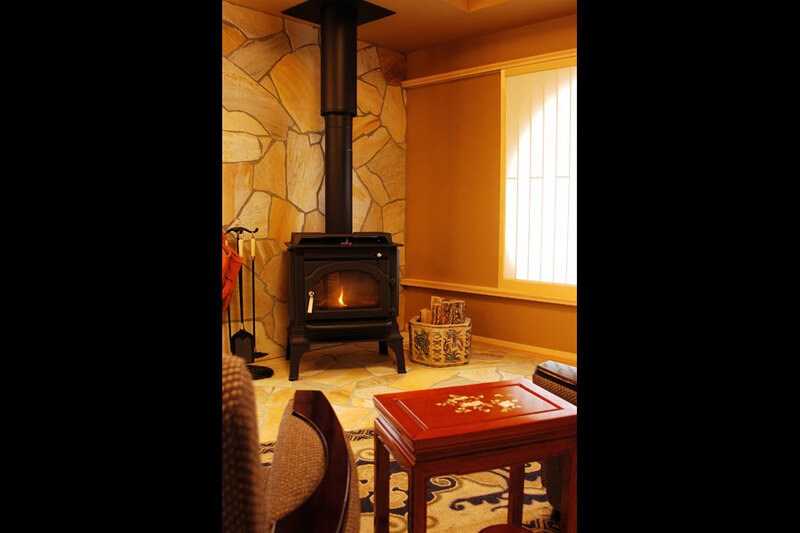 Town’s people love their local way of life and tradition . 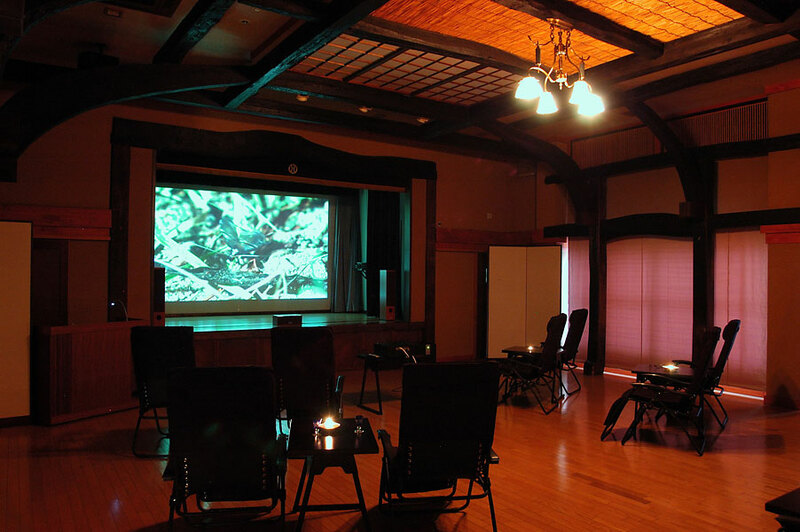 They are quiet but friendly to people from outside. 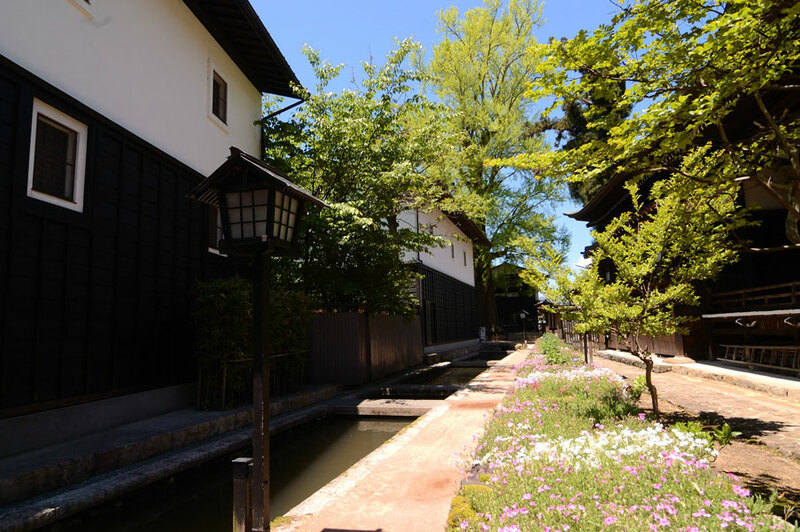 The white-walled storehouses, private houses, shops and carp-swimming waterways form a lovely photogenic and historic canal district. 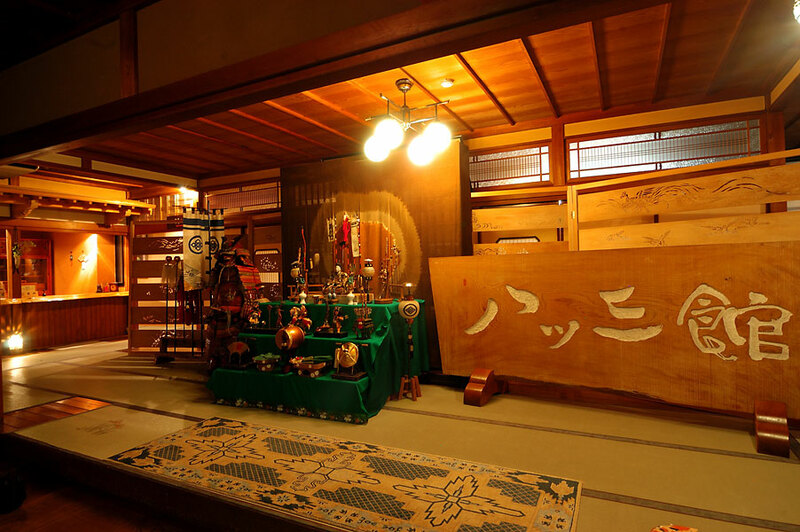 Yatsusan-kan ,registered as “Tangible Cultural Property of Japan”, started its business in 1880’s. 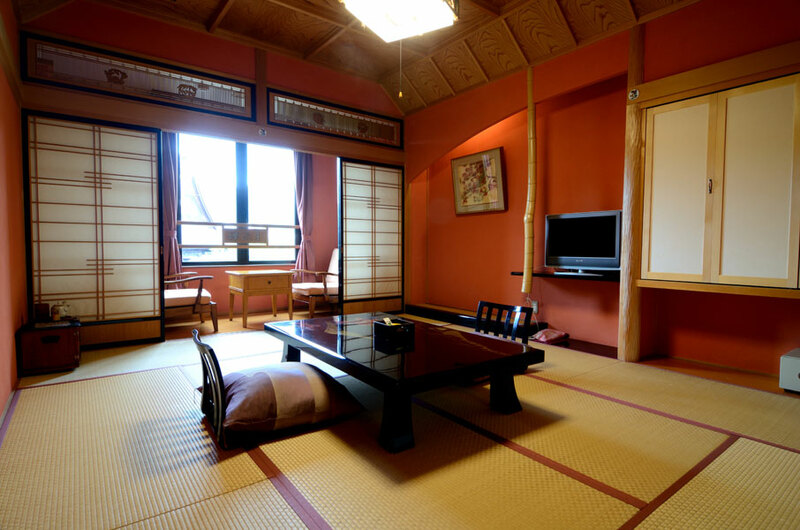 It shall be the best choice for the guests eager to spend relaxing time in a traditional authentic Japanese suite rooms facing a clear river and an old temple. 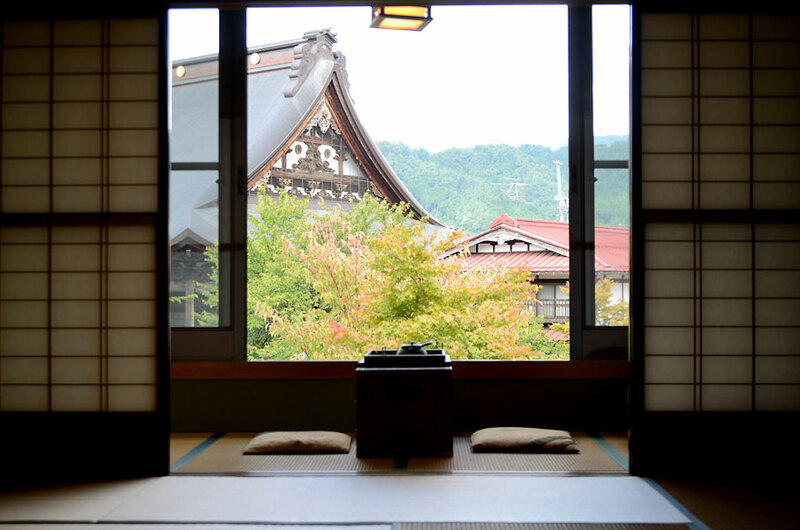 Yatsusan-kan makes you feel like you have stepped back a few centuries. 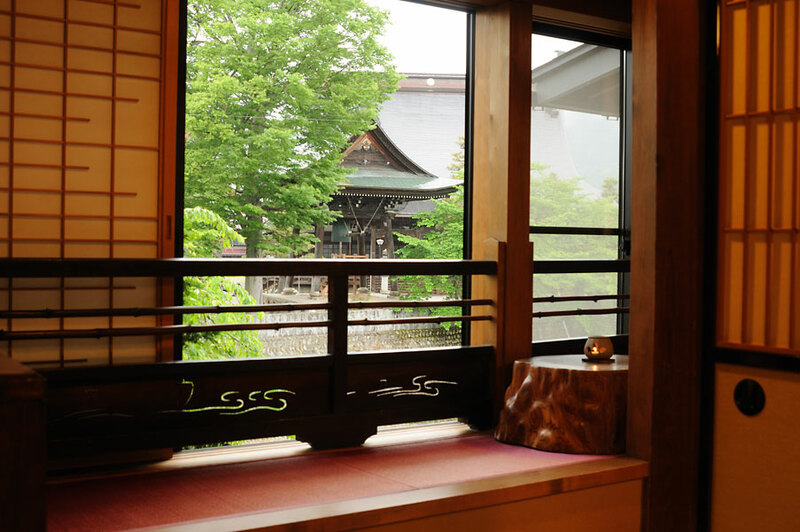 Hida-Furukawa is 15 minutes train ride from Takayama, the centerpiece of Hida-region and 2.5 hours train ride from Kanazawa, well known as a beautiful and sophisticated city in Hokuriku-region. 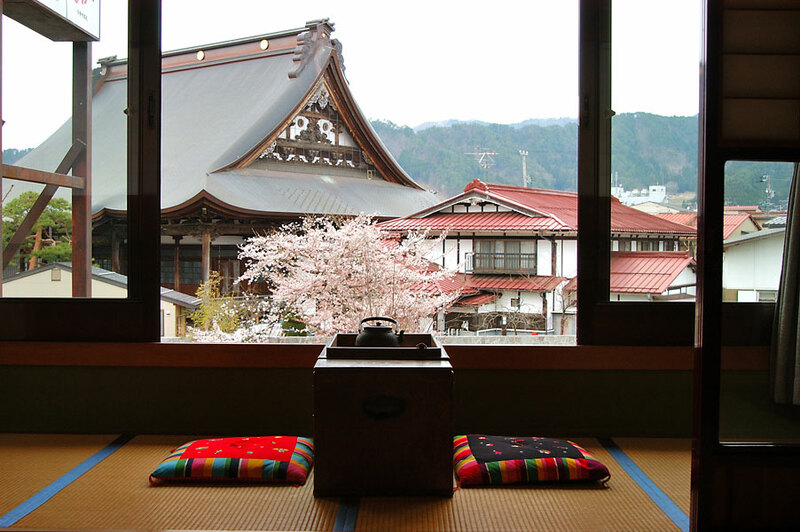 Shirakawago known for farmhouses of thatched gassho-zukuri style is also located within daytrip distance from here. 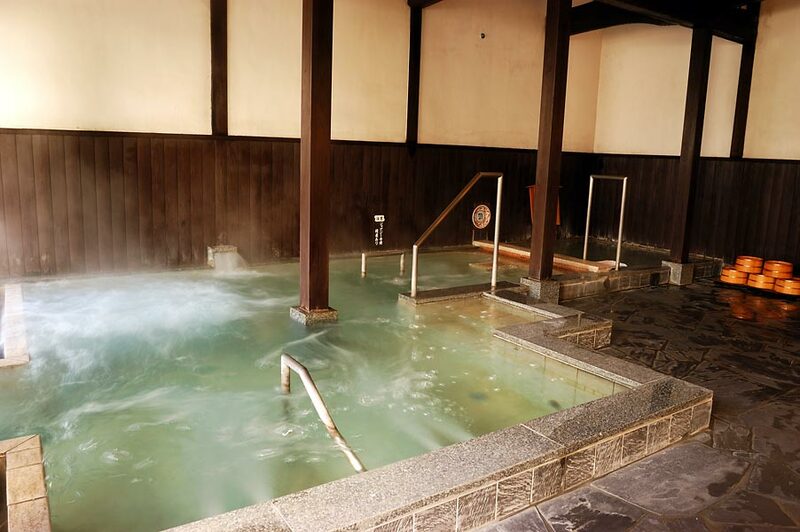 Stay in Yatsusan-kan, the genuine historic Ryokan- inn and visit Takayama, Shirakawago and depart for Kanazawa shall be your best plan for traveling around center part of Honshu island. If you need pick-up service at JR Furukawa station, please let us know your arrival time. 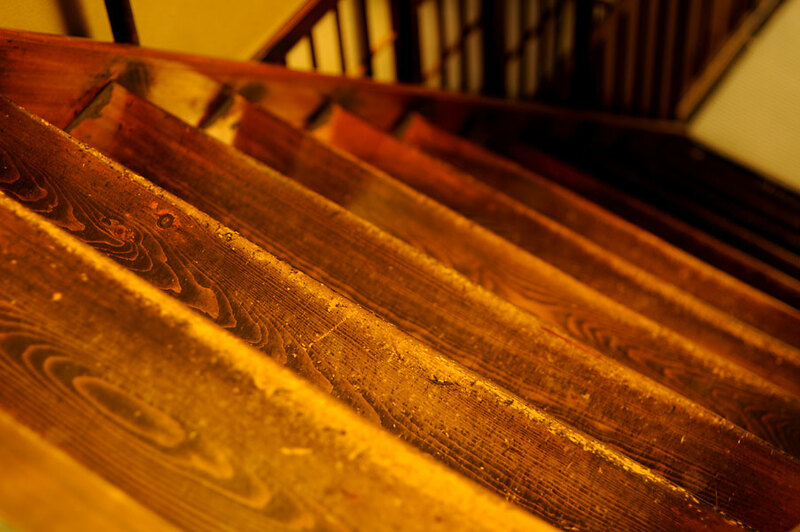 We will be there before your arrival. 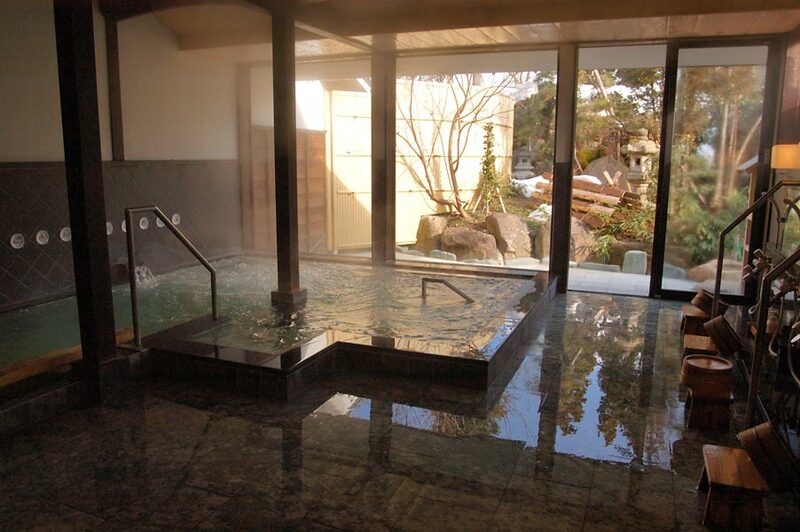 Please enjoy our spacious public baths facing sophisticated Japanese garden where open air baths are located. 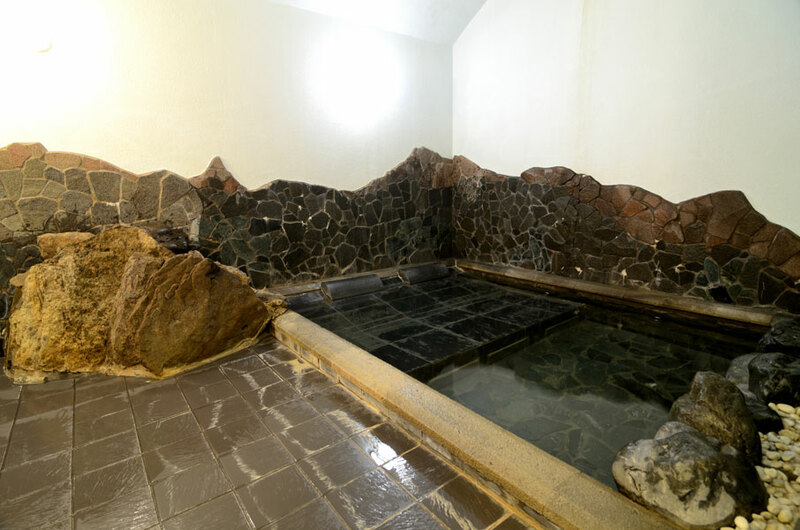 Hot spring of Yatsusan-kan peels old keratin of skin and gets your skin smooth by the effect of the alkaline simple spring. 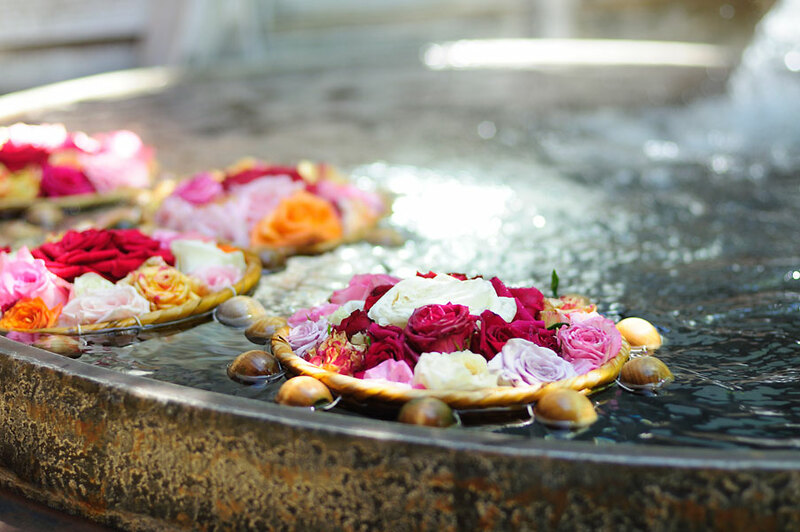 Low irritative natural spring water is gentle for elder people. 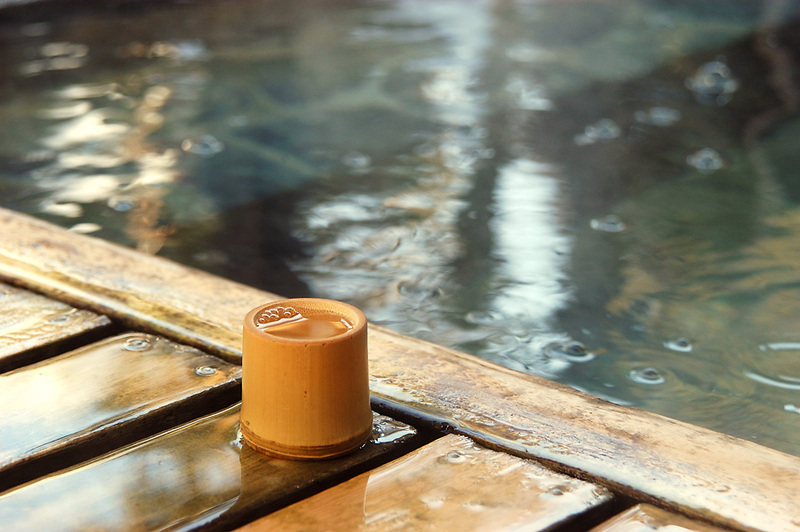 You can drink Cask Sake at spacious public bathing area until 7:00 pm. 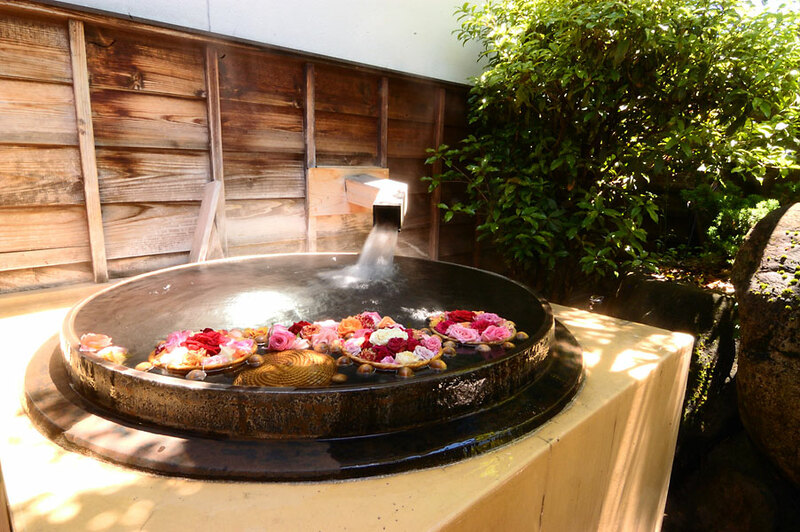 Open air “Rose bath” in Japanese garden for ladies. 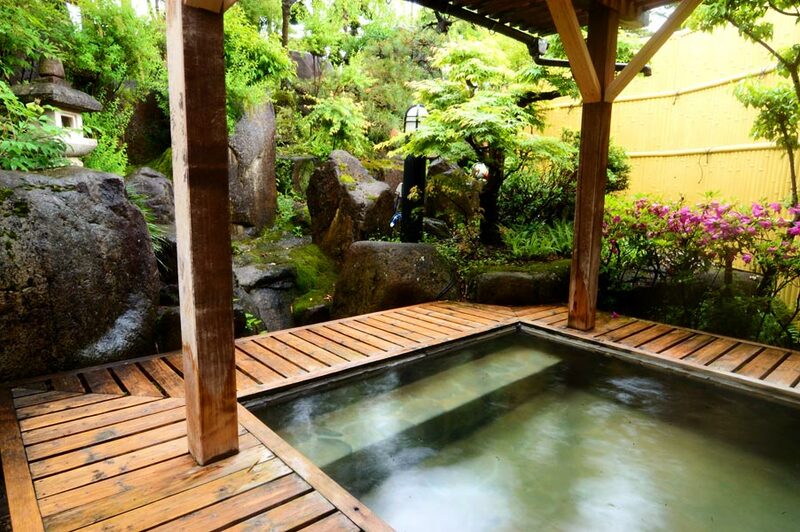 Outside of the spacious public bath, you will find open air baths in Japanese garden. 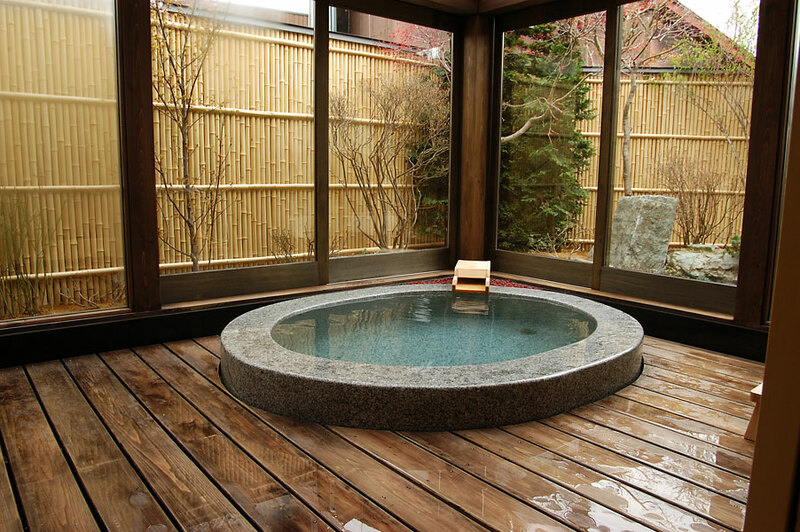 As for ladies bath you can enjoy rose-full bath. 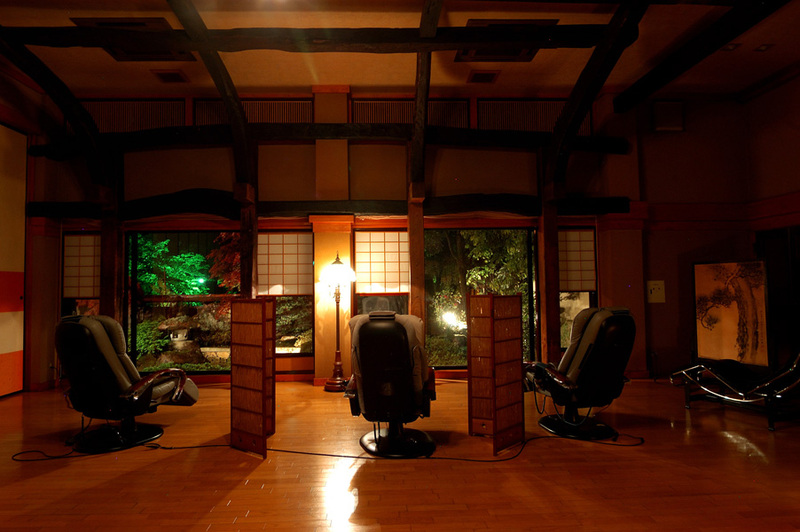 As for gentlemen there is warm waterfall which eases your pain in your shoulders and neck. 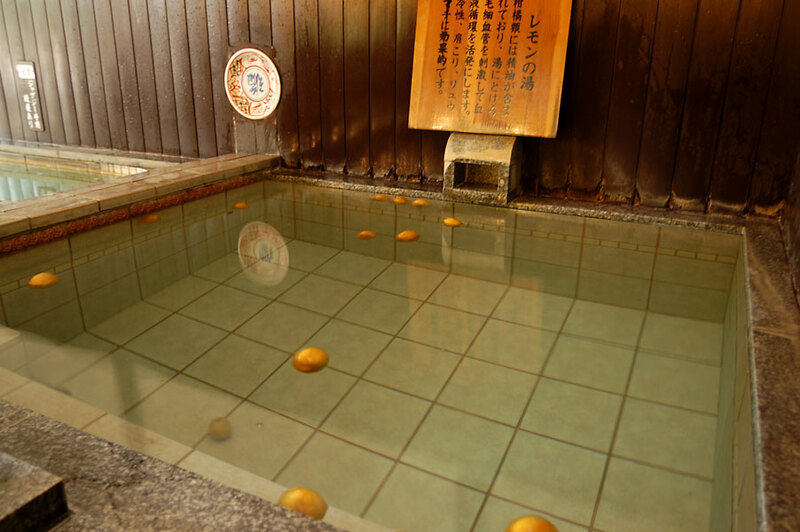 Besides those baths there will be various types of bath according to the seasons such as “Sake lees bath” in winter. 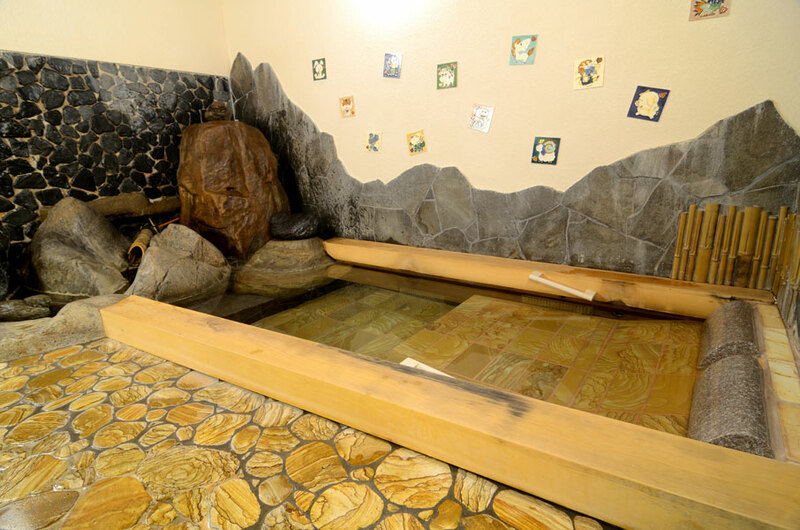 Private use for a family size bath is available. 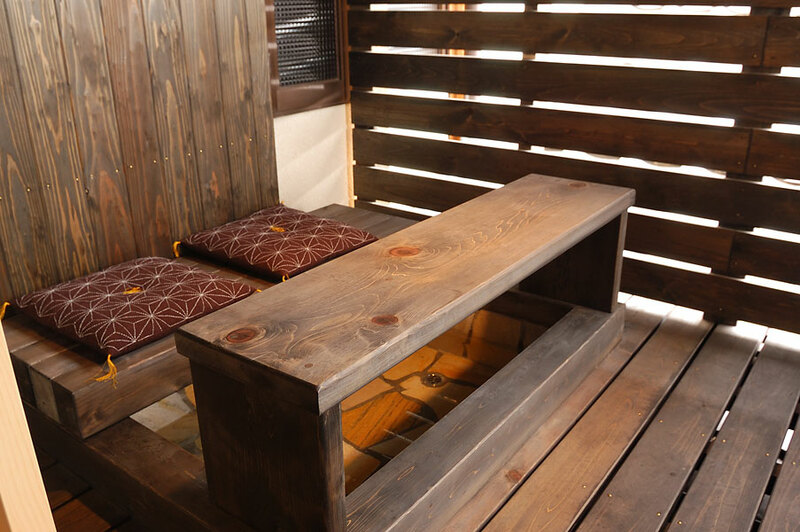 You can enjoy our middle size Japanese bath exclusively with your partner. 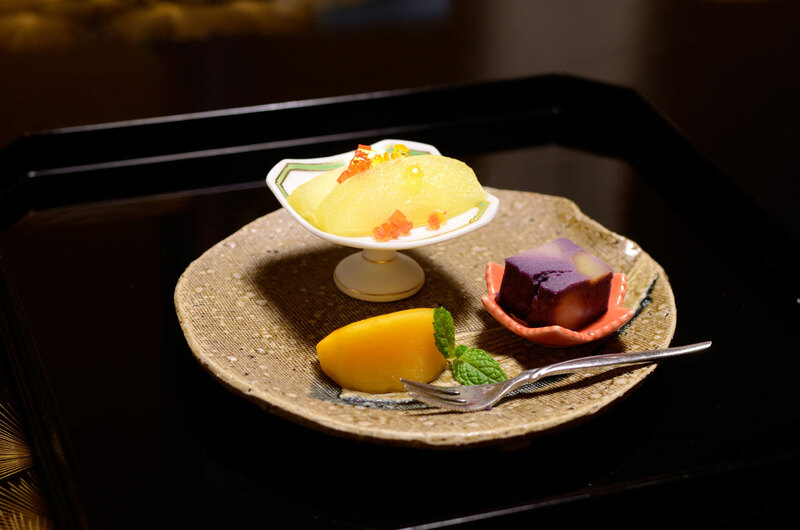 Authentic beautiful Japanese cuisine, prepared by head chef Mr. Akita who gained good result at number of competitions and other fellow cooks, have been earned a good reputation from our guests. 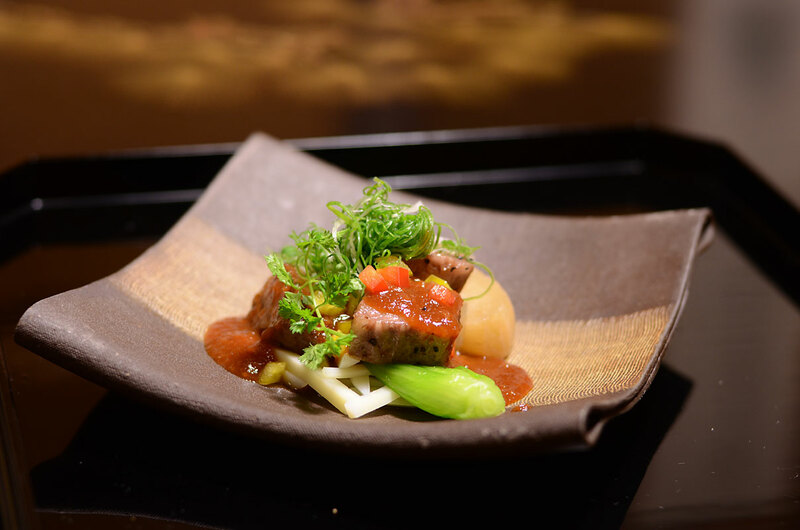 The worldwide famous Hida-beef and our homemade Hida-vegetable and mountain vegetable will never fail to fascinate your eyes and tongue. 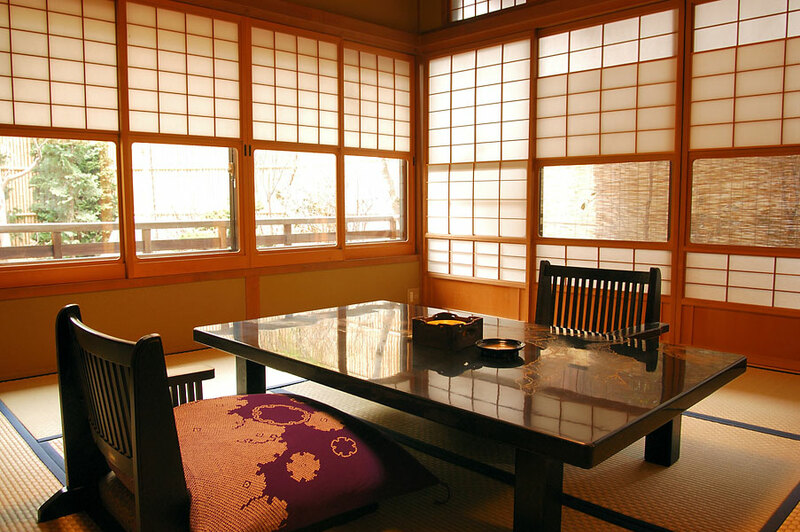 Meals are served in an individual private Japanese style room. 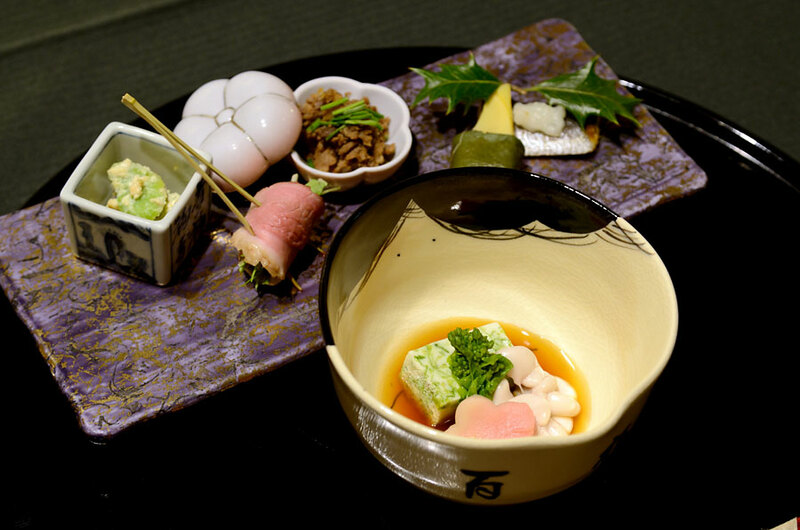 The Kaiseki (Japanese set) meals are delicious and finely prepared. 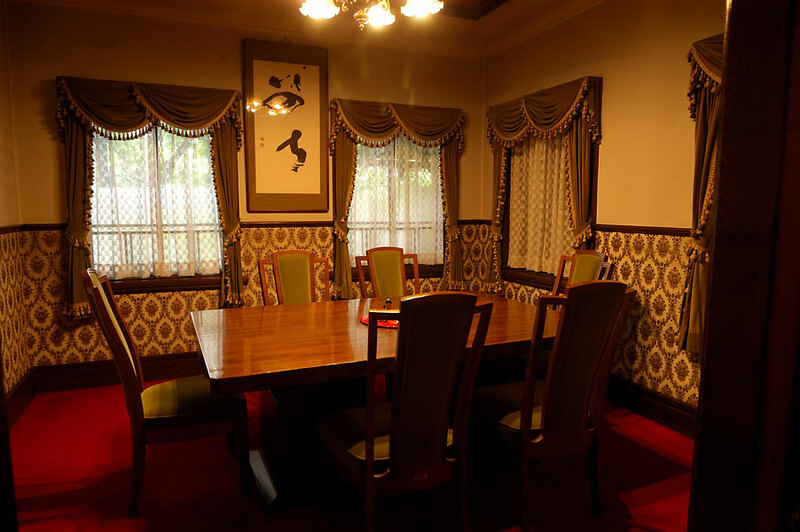 Please enjoy authentic Japanese dinner in a traditional Japanese small room. 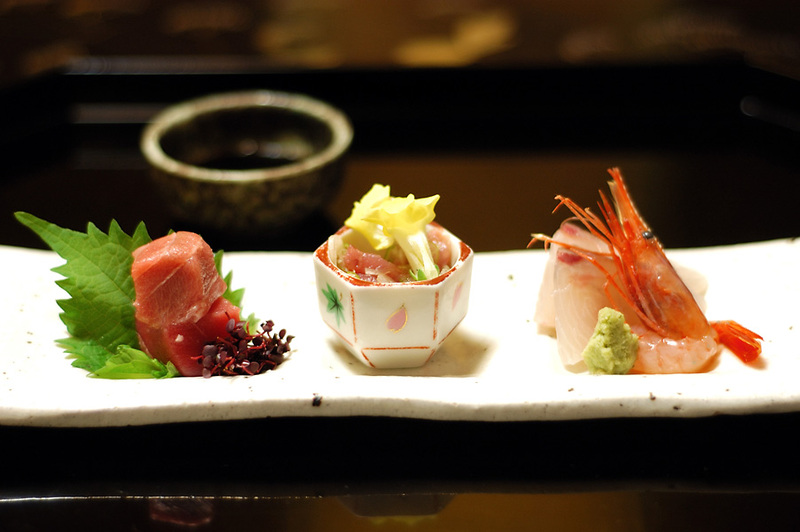 Besides the Kaiseki meals you can also chose Hida-beef steak, Sukiyaki and Shabu-shabu. 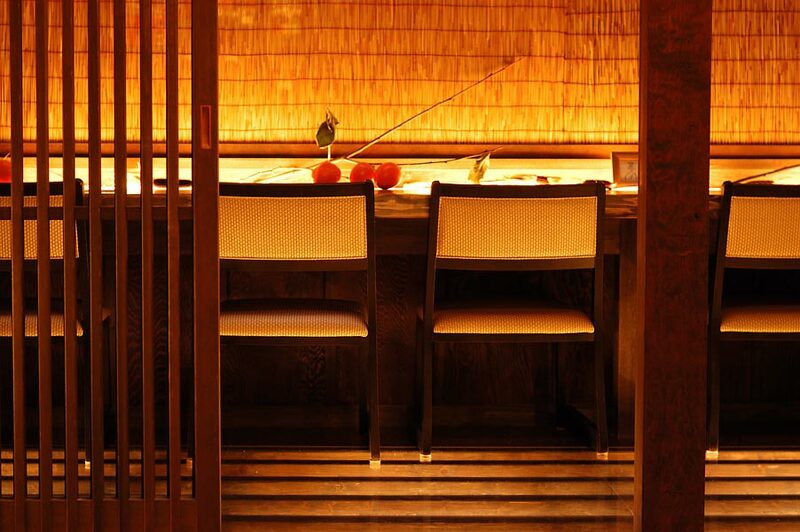 We offer complimentary welcome drink at the waiting bar as aperitif for the dinner. 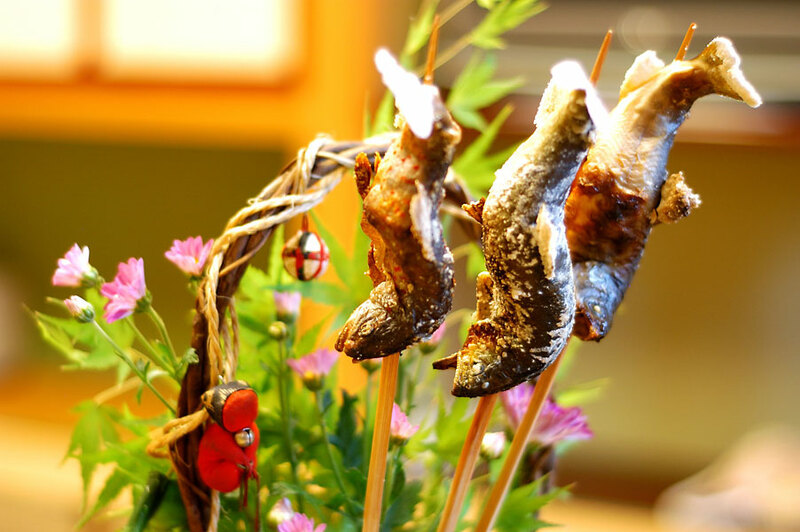 We serve you traditional local Hida cuisine “Zaigo-ryori” for breakfast. 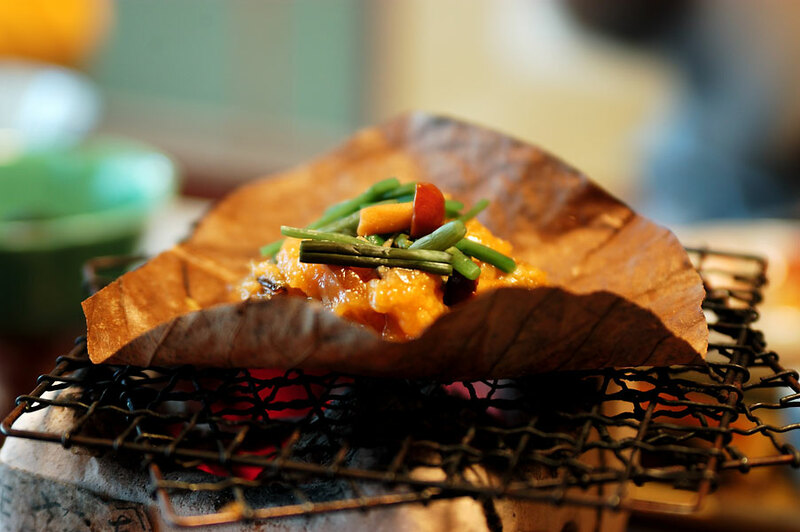 “Hoba-miso”, miso and negi grilled on a dried magnolia leaf is a typical local dish in Hida area goes well with rice. 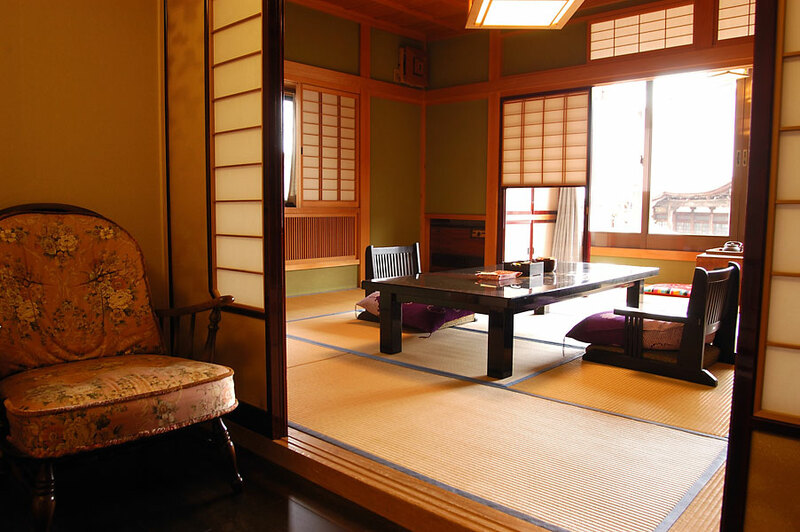 Yatsusankan has started it’s Ryokan-inn business early 1800s. 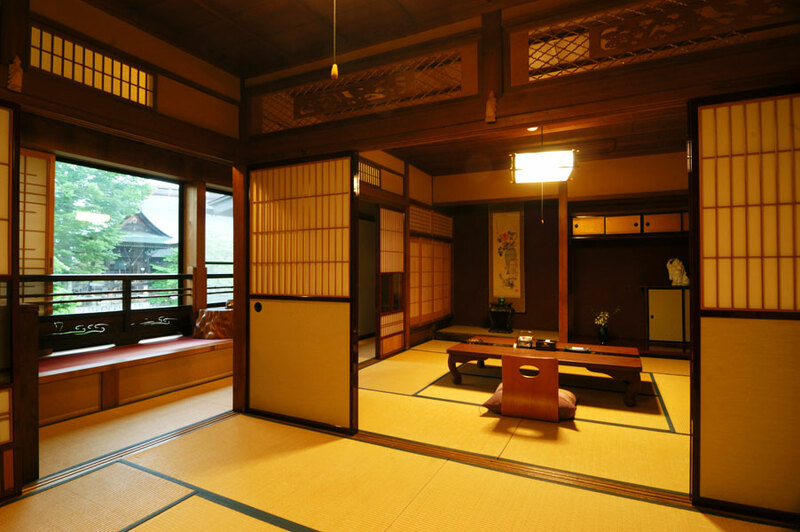 The oldest building, remains as it was, has been constructed in 1905. 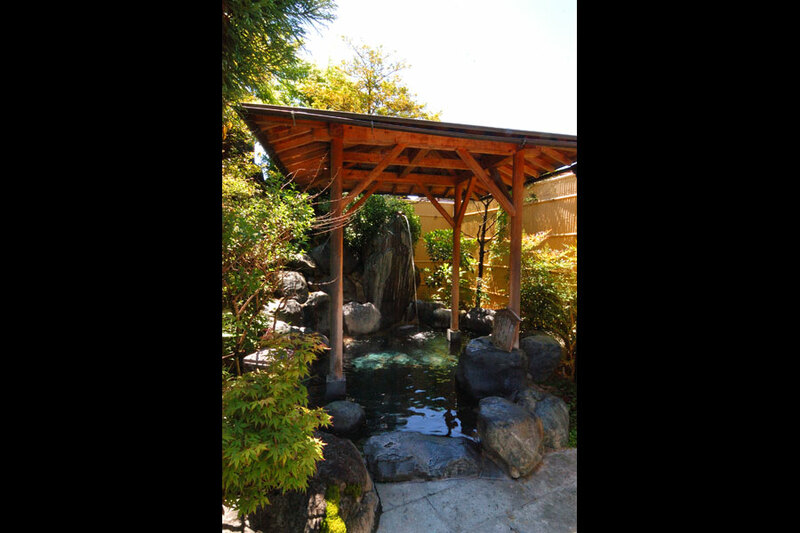 Now Yatsusankan is consist of three wings. 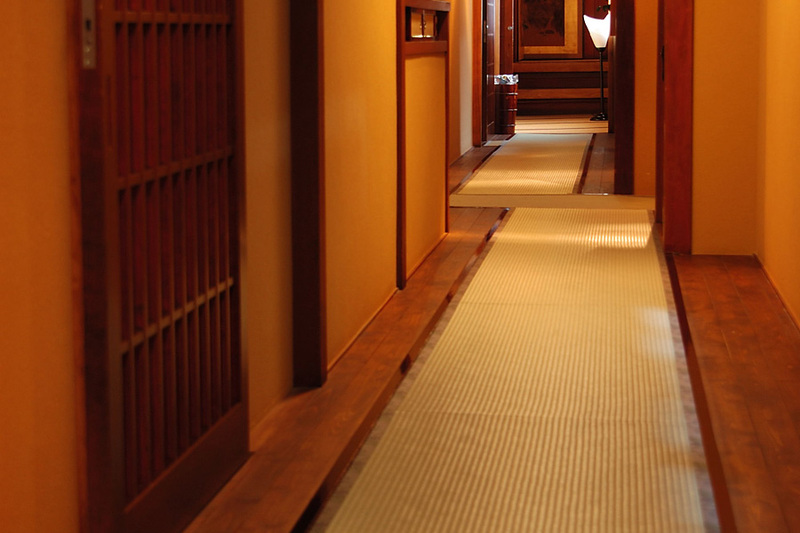 The three wings are not separated each other and connected by Tatami-corridors. 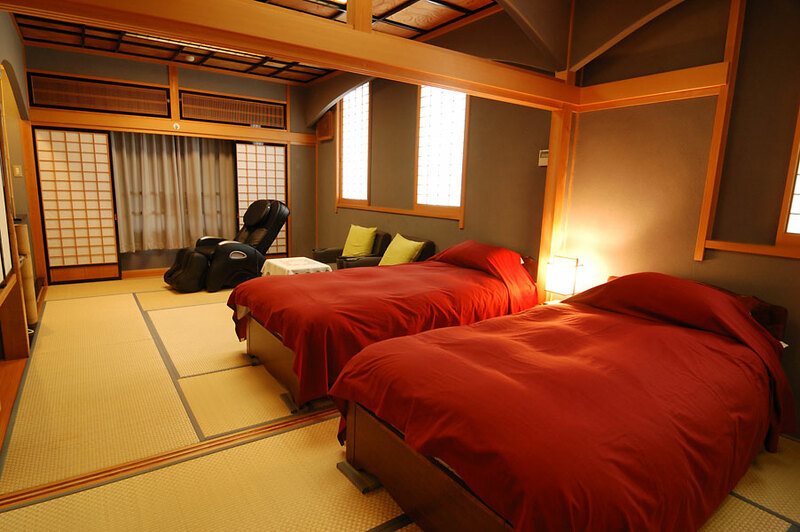 The types of each room are different according to those wings. 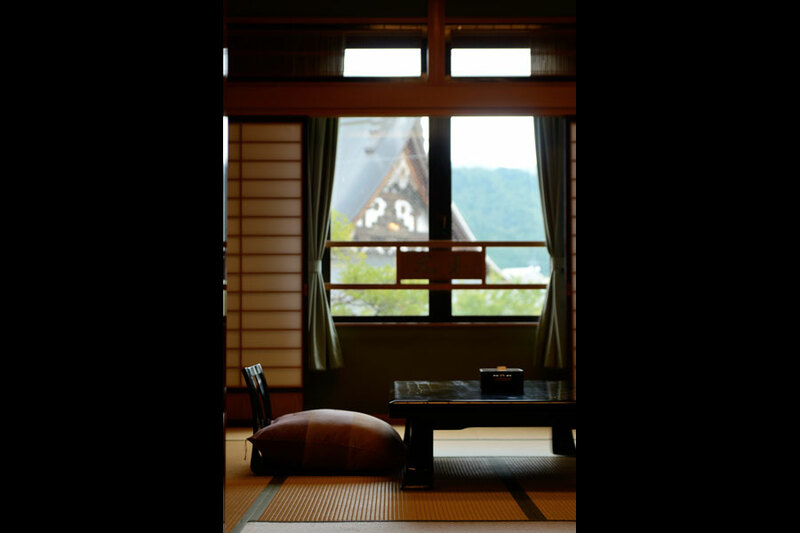 All rooms are traditional authentic Japanese Tatami rooms with wonderful riverside view. 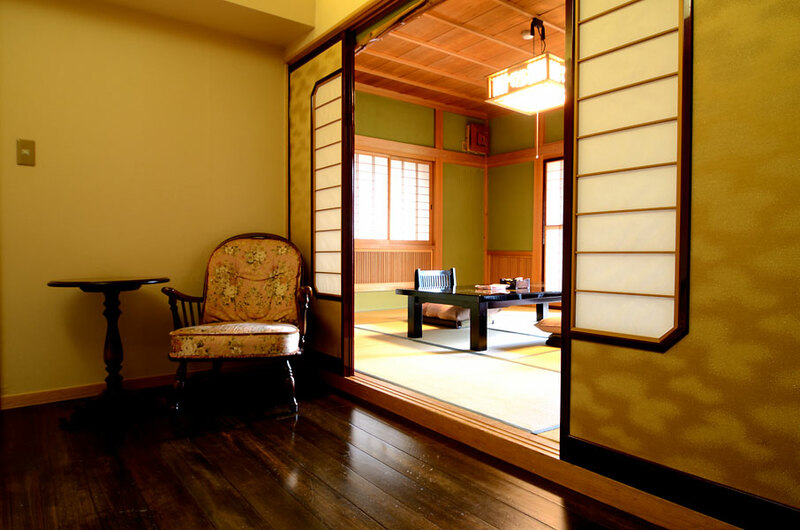 We regret to inform you that this Ryokan-inn does not admit children 12 years old and under. 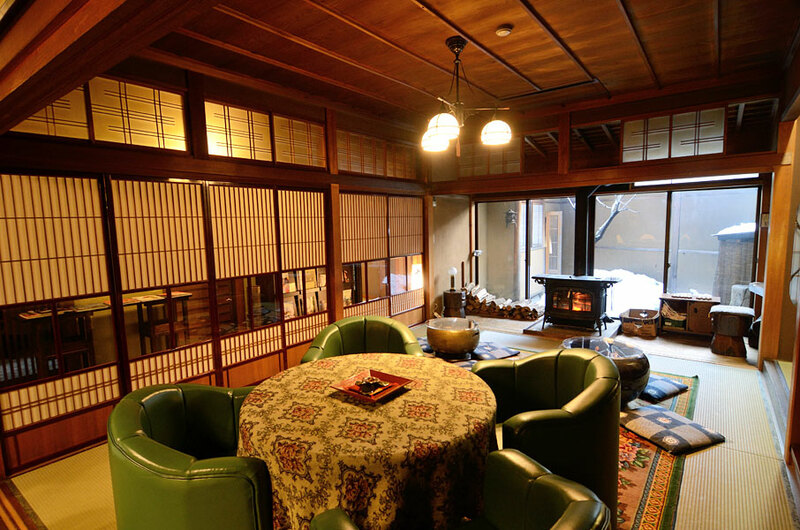 Shogetsuro is the oldest wing. 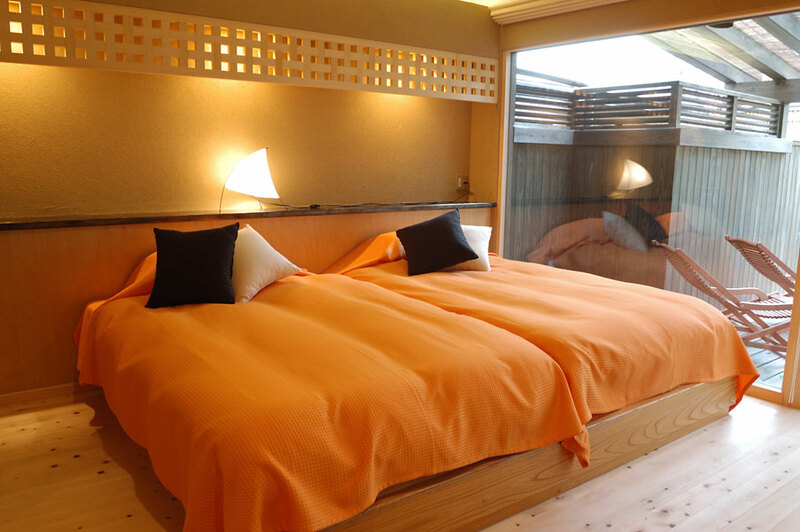 There are three guest rooms in Shogeturo. 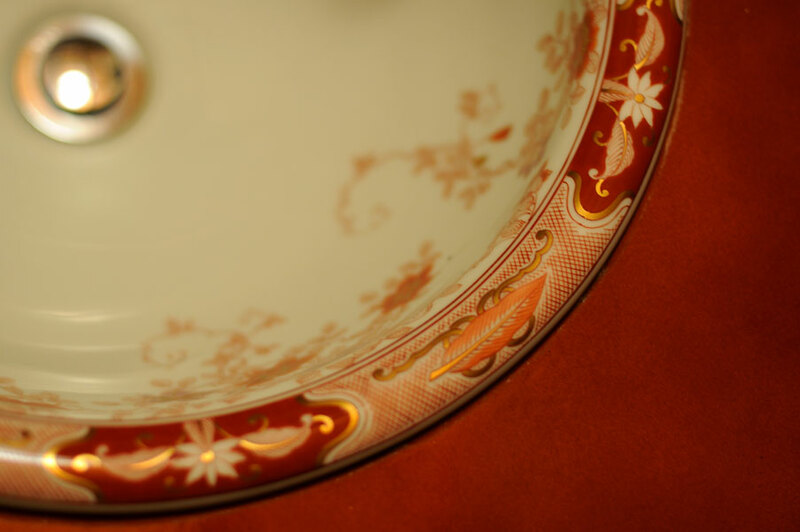 It was registered as ”National Tangible Cultural Property” in 2004. 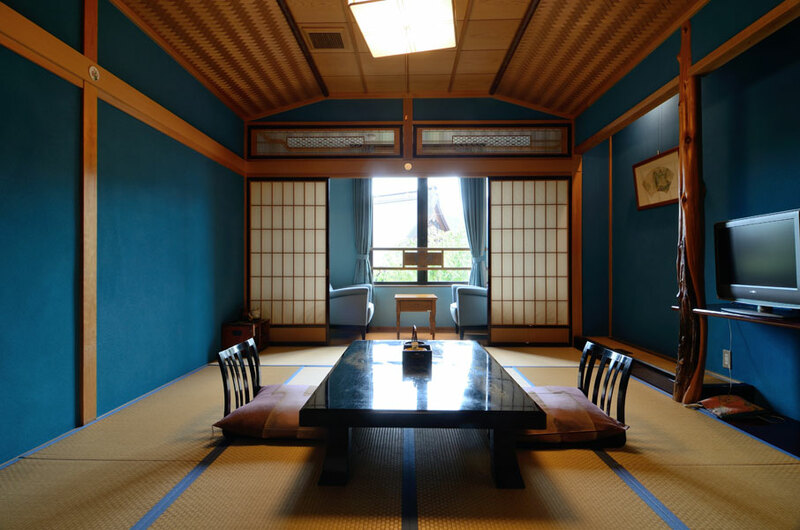 As Shogetsuro was constructed long before by old type master carpenters, rooms in this wing are very unique and not uniformized. 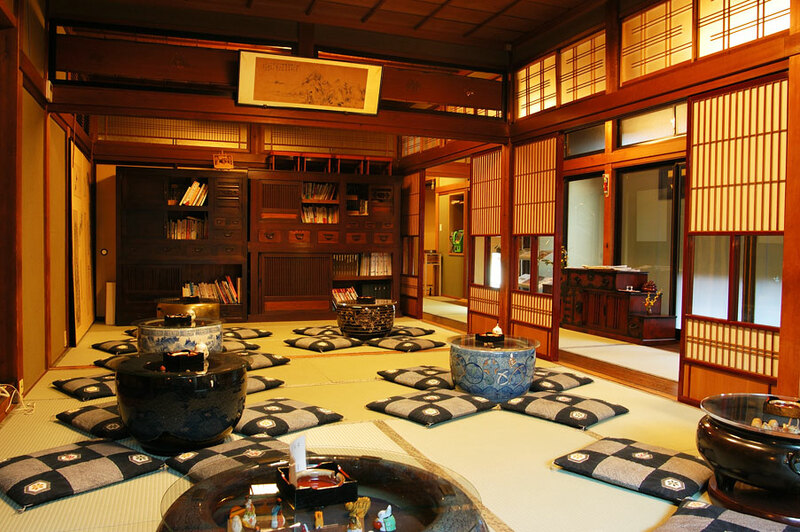 You will find those rooms are all charming and exotic. 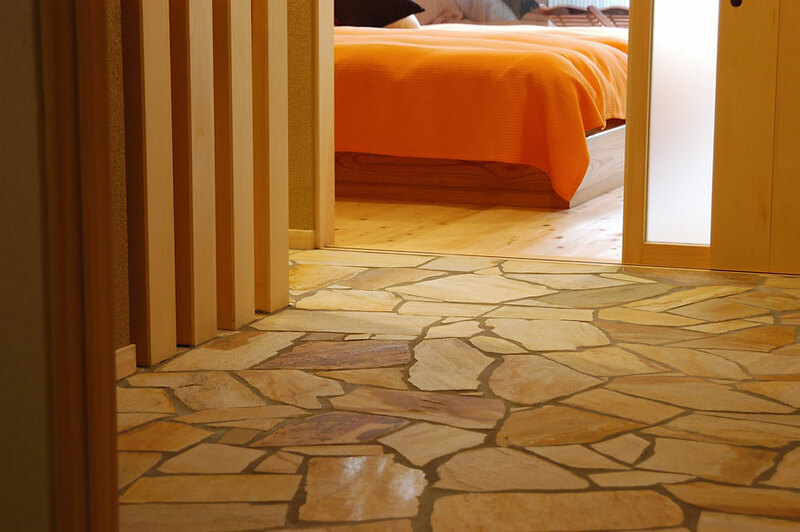 As these retro style rooms do not have private bath rooms in them, you are requested to use our out baths. 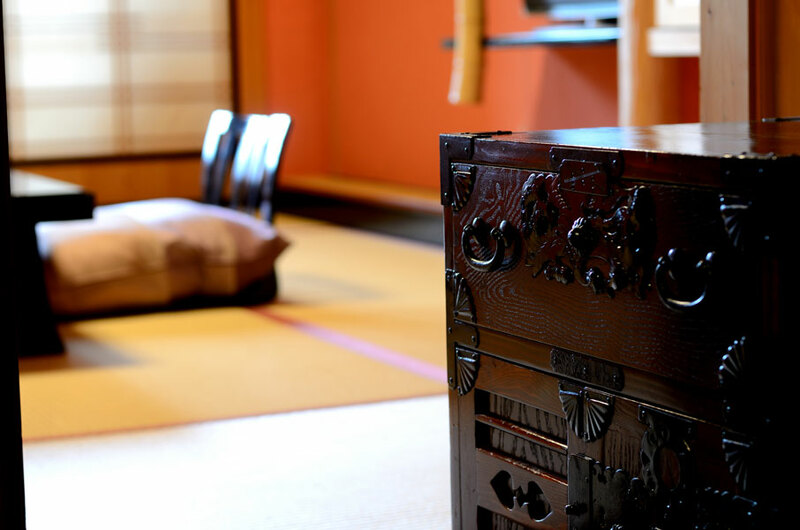 Kangeturo is newly constructed wing but still preserves old Japanese authentic style．There are 12 rooms in this wing with private bath room. 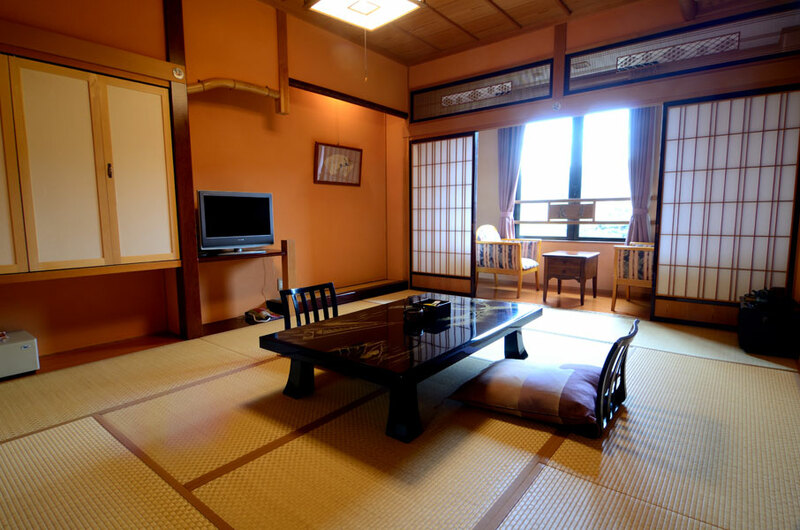 All rooms have one main Tatami room and next Tatami room with wonderful riverside view. 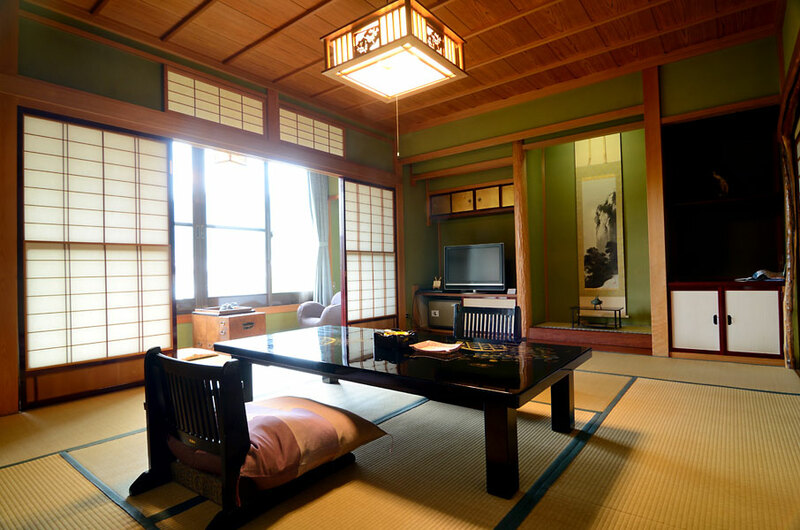 Kogetsuro is also newly constructed and is the most luxurious wing in Yatsusankan. 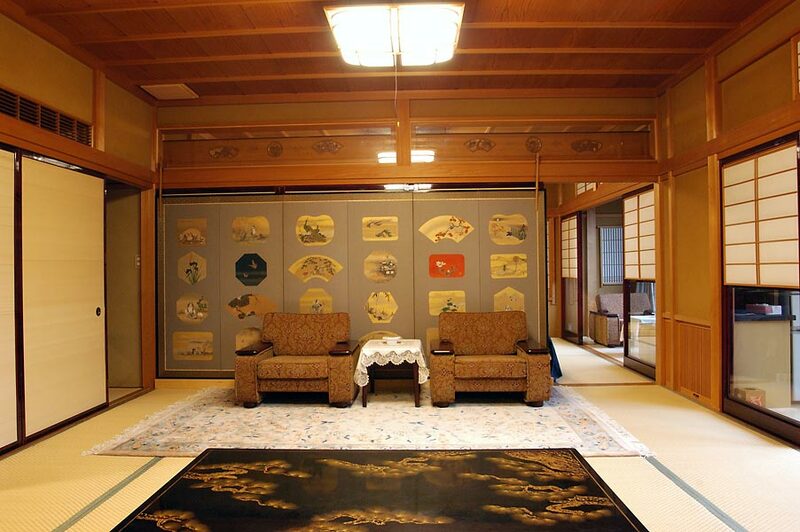 There are four spaceful rooms in Kogeturo. 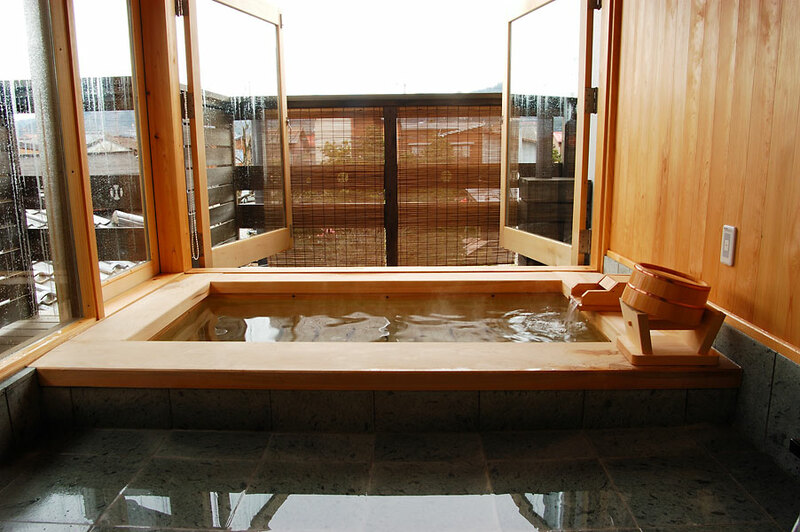 Three of them are equipped with gorgeous private open air bath. 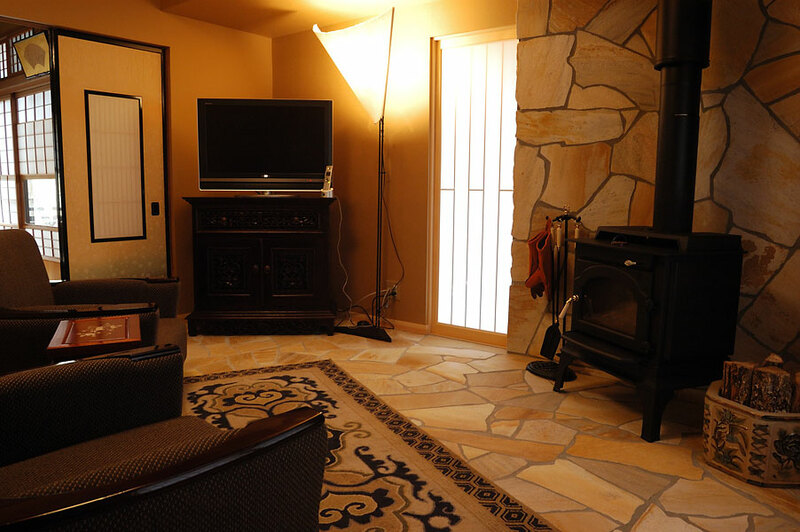 Each room is with different interior designs and room layouts. 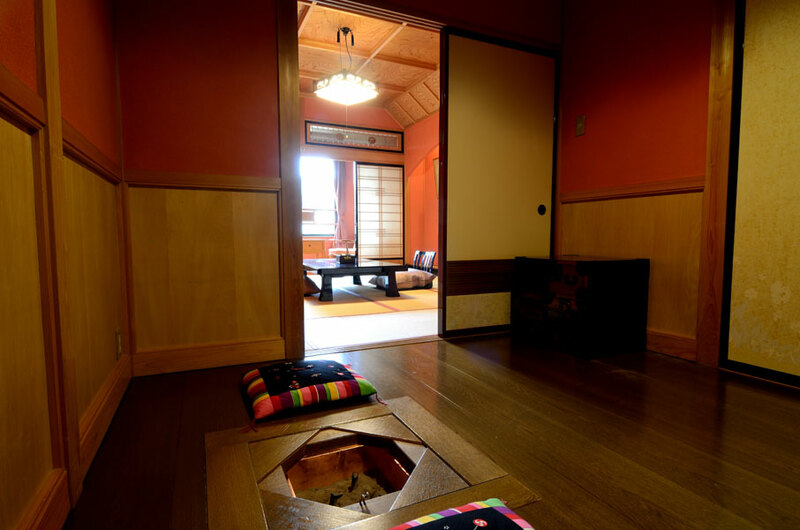 *We regret to inform you that this Ryokan-inn does not admit children 12 years old and under. 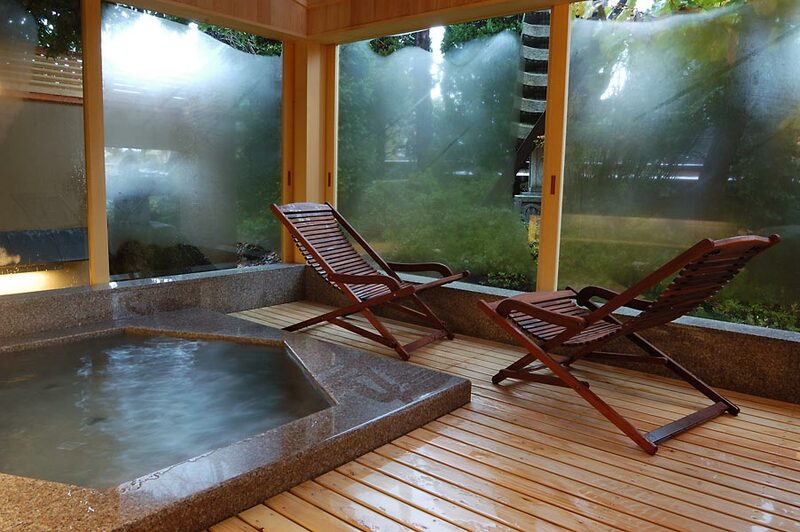 Reservable private family size baths is available. Souvenir shop Folk arts and local foods are available at the shop. 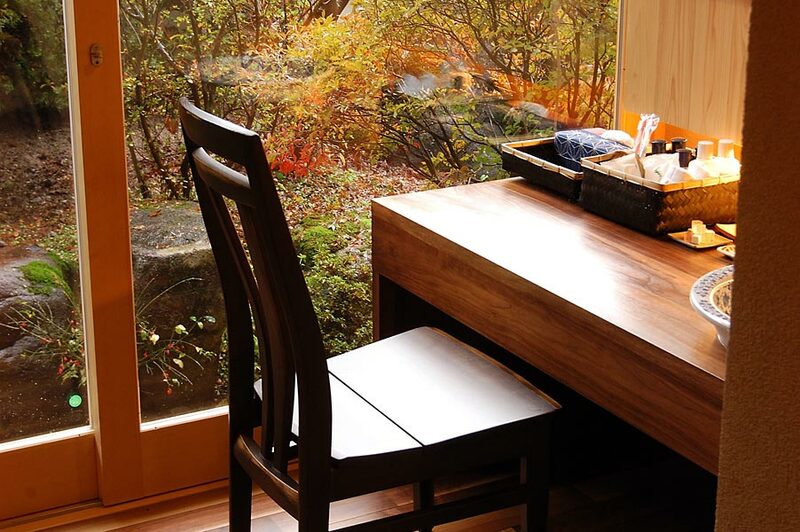 Relaxation room You can enjoy relaxing electric massage chars and other massage devices in our spacious relaxation room facing beautiful Japanese garden. Transportation Shuttle service is available at JR Furukawa station. 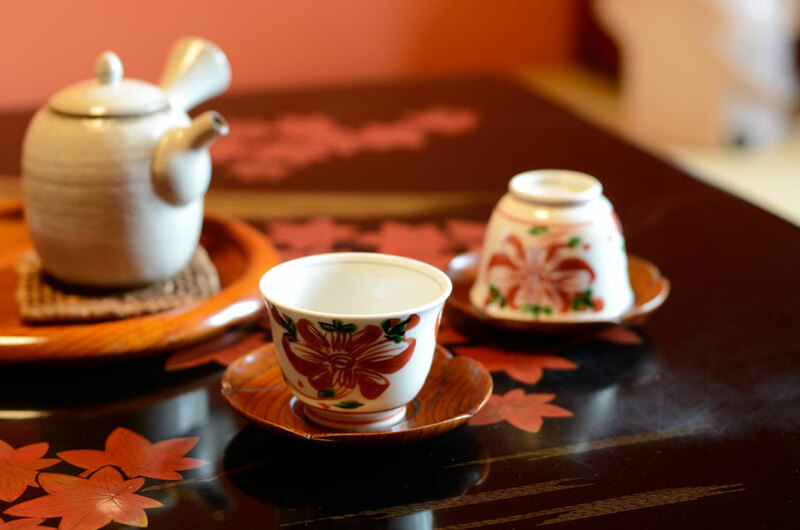 Welcome tea service Fleshly brewed Maccha green tea with Japanese snack is served on your arrival. 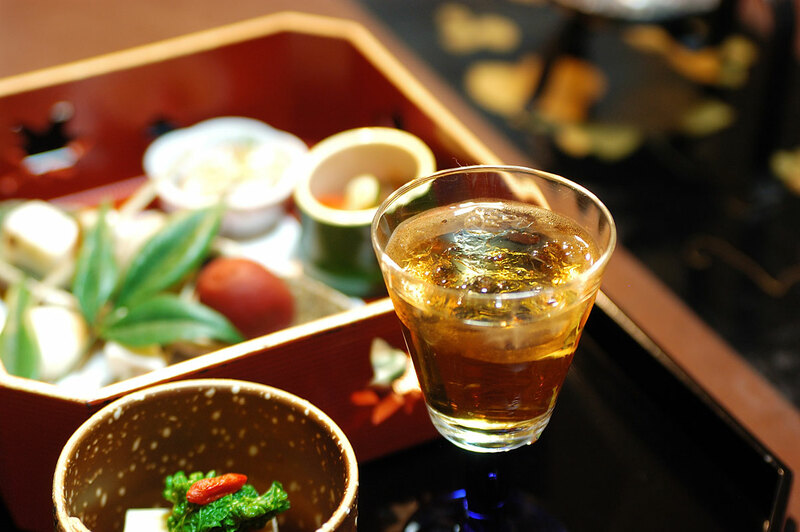 Aperitif for dinner Welcome drink of aperitif for dinner is served at waiting bar. 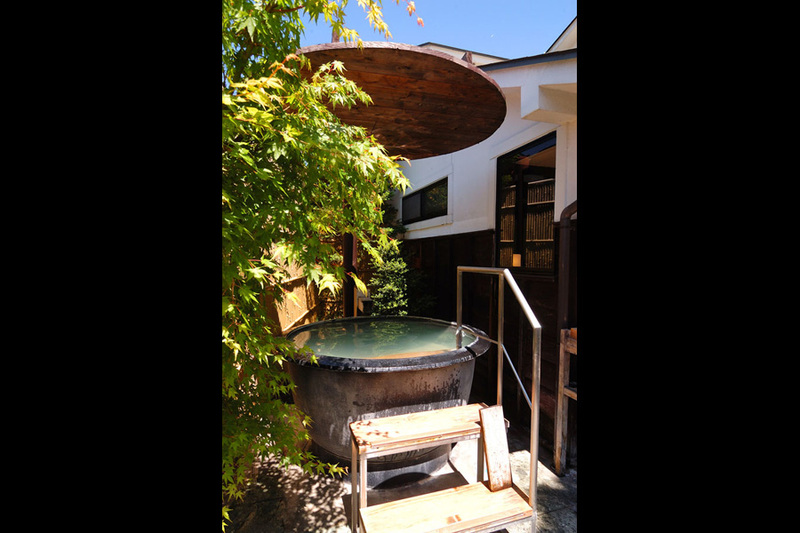 Cask Sake at open air bath Free Japanese Sake at open air bath is available until 7 o’clock in the evening. 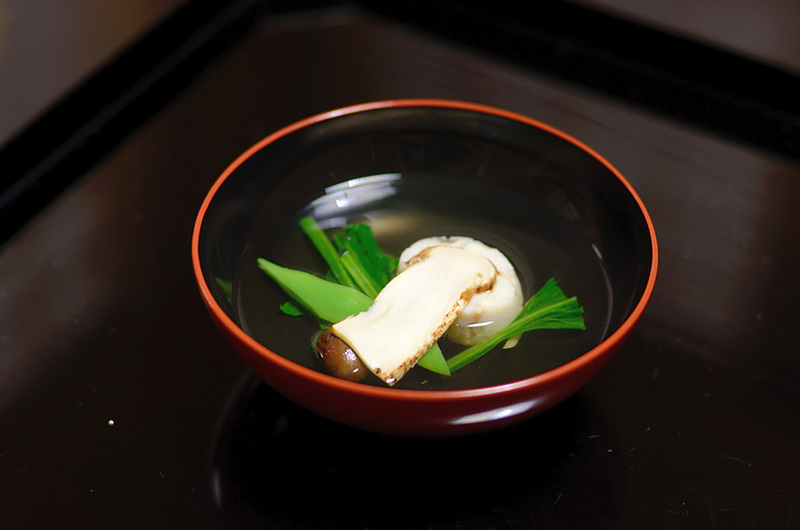 Late night snack Small rice balls wrapped by bamboo grasses is served for your night snack. 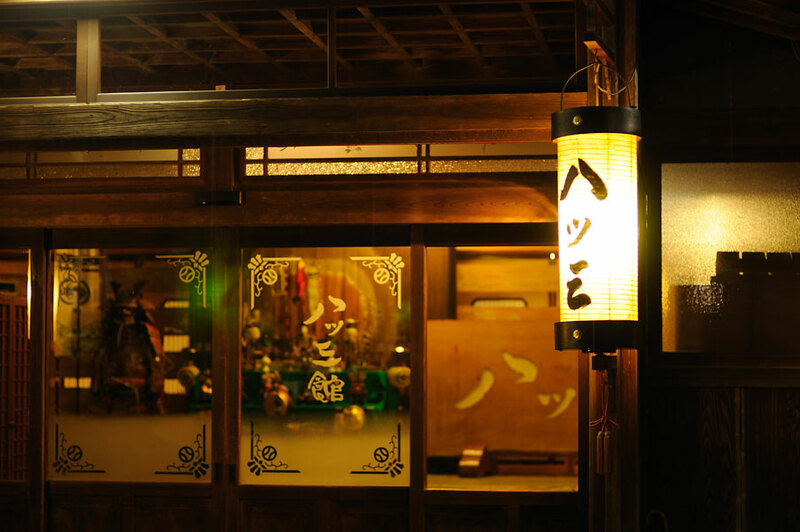 Seasonal night tours We invite guests to a seasonal night tour such as “ Cherry blossom light-up tour” , “Summer night tour for fireflies” ,”Guided tour of rehearsal for Furukawa Festival”, ”Shuttle bus tour for Takayama Festivl” and so on.